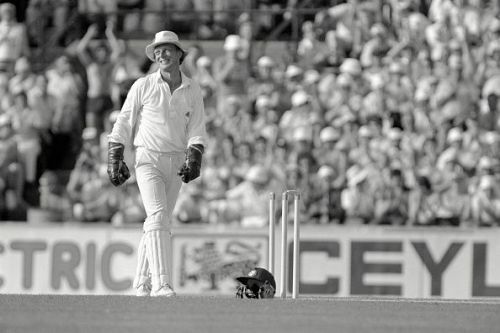 Over the years, the art of wicket-keeping has changed a lot. In the earlier decades, reliable skills with the gloves were enough to have a productive career. However, wicket-keepers are now required to contribute with the bat as well. The likes of Adam Gilchrist, Mark Boucher, MS Dhoni, Kumar Sangakkara, Brendon McCullum and Andy Flower were successful exponents in that regard. From high-pace swinging deliveries and bouncers to spinning balls, a wicket-keeper has to overcome a lot of challenges. A very less reaction time makes his job harder. A lapse of concentration for a second or an uneven bounce can cause a career-threatening injury. Here are five wicket-keepers who were forced to end their careers due to injuries. Paul Downton played 30 Test matches and 28 ODIs for England. He claimed 75 dismissals (70 catches, 5 stumpings) in Tests while in ODIs he accounted for 29 (26 catches, 3 stumpings) dismissals. Downton played in an era when most batsman preferred not to wear helmets, let alone wicketkeepers. When he was playing for his county in a Refuge Assurance 40-over match against Hampshire at Basingstoke, disaster hit him. John Emburey bowled a fuller delivery to Julian Wood. The ball hit the stumps and the bail flew up to pierce his left eye. "Embers bowled one of his yorkers so my hands were low and my face close to the bails and one went straight in when the ball struck the wicket. It was an impact injury as opposed to laceration and it left me with my lens being partly shattered. I spent about a week in hospital and I still have slightly blurred vision in my left eye," Downton recalled in an interview to The Telegraph. He played about a half-dozen matches after the injury. However, it was quite clear that he had lost his perception. So, he hung up his gloves.